In Lion's Arch, near the display of presents and candy canes, speak with the Festive Youth (the map will have a red/white mint on it that says Winter Wonderland) and choose to brave the freezing peaks. Inside, there are three paths to choose to jump to your death I MEAN GET the kiddies their presents by: a path marked by two Quaggan, a path with two Snowmen and a path with Gingerbread Men. They are all similar and all three will eventually converge into a center point marked my giant mints as platforms and Toymaker Trixx warming himself by a fire. Warming yourself is what you'll need to do - and fast - as the more time you spend jumping around on the snowflake platforms, the more damage you will take from the exceedingly-cold environment. Once you get past the questions of why they just didn't build a causeway lined with intermittent fireplaces or just teleported you past this area, you can start to jump your way up the snowflakes into the white beyond, hurdling candy cane rungs on the way. Good Luck with it and See You In The Game! 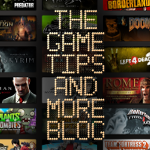 Last edited by GameTipsAndMore Blog on Thu Jan 02, 2014 7:44 am, edited 1 time in total. I'm going to guess, you're pretty good at Mario. And I have a friend I think would enjoy this video. Jassifrickanation wrote: I'm going to guess, you're pretty good at Mario.